School is out and summer officially begins this week with the summer solstice. Homeowners in Rutland, our popular master-planned community in Mechanicsville, are ready to celebrate in style all summer! Honored as the Best New Community for Families by Richmond magazine, the community boasts a number of stunning features and these Rutland amenities truly shine during the summer because they encourage active living. 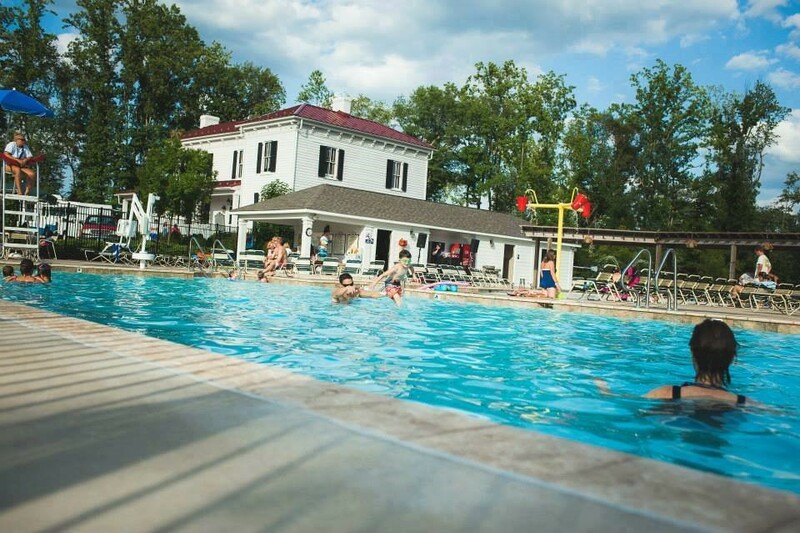 Among the most popular Rutland amenities are the pool, which includes water features and slides, and the Rutland House, an historic home converted into the community clubhouse. 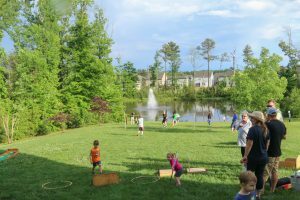 The community also includes a playground area, sidewalks and streetlights, open green spaces, a 3.5-acre lake with natural walking paths, and more. In addition, Rutland is a mixed-use community and homeowners can walk to a Kroger Marketplace store, retail shops, restaurants, banks, and the Atlee Station Family YMCA. This summer is especially exciting for homeowners because the Rutland Foundation Board of Directors has been busy working on new Rutland amenities for the entire community, including a sport court and grill station near the pool! At HHHunt Communities, we believe it’s how you live that matters and that’s why we build our master-planned communities to encourage active and healthy lifestyles. Outdoor amenities invite neighbors to spend time together and experience their stunning natural surroundings. Whether it’s spending the day at the pool or taking a leisurely stroll along the walking trails in the evening after dinner, Rutland is an ideal community for those who want to enjoy an active lifestyle. Given the community’s convenient location, access to top-ranked schools, distinctive homes, and impressive array of community amenities, it’s no surprise that Rutland remains one of the most popular new home communities in the Richmond region. There are still new homes available in Rutland, including a new section in Rutland Village. 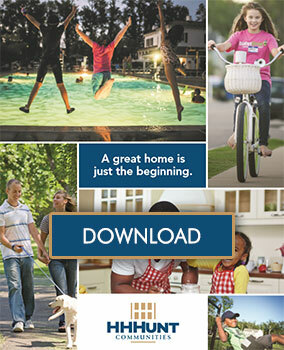 To learn more, visit our site or stop by to discover the HHHunt Communities difference for yourself.